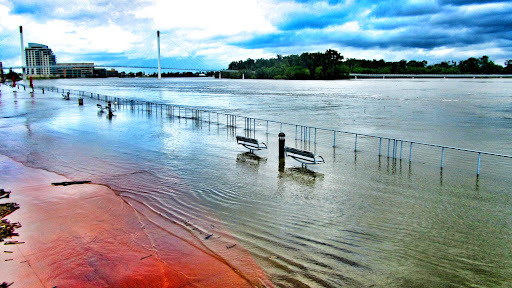 Today was the day the army were opening up the dams to release more water in the Missouri, so we headed down to the river to see just how bad things were. These statues were up to their necks in water. 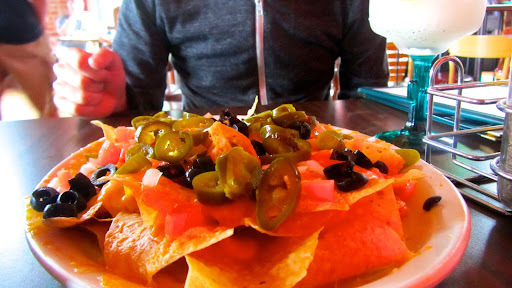 Afterwards we went to Michael's for Happy Hour where Tom ordered a gigantic plate of nachos. 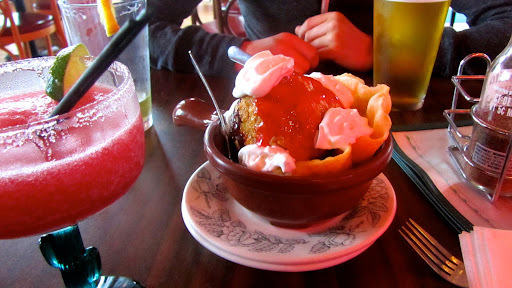 We also tried some fried ice cream which came in a taco bowl with strawberry and chocolate sauce on top. 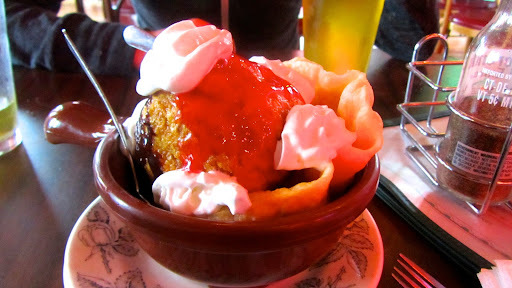 I've never had fried ice cream before but it was yummy. 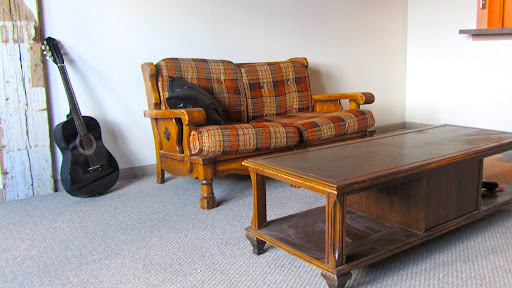 On our way home, we stopped in to Joe's Collectibles where we managed to pick up a sofa for $20 and coffee table for $8.